This sandbox built by an Amish craftsman in Lancaster Country, PA from durable Poly lumber. Poly lumber is a great choice for kids outdoor toys and furniture because it won't splits and is built to last. 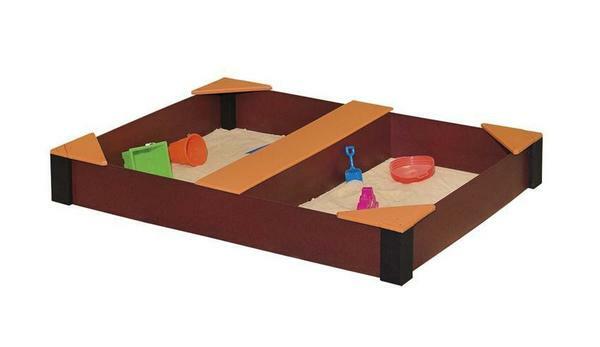 This sandbox has a handy storage spot for storing your sandbox accessories and toys. This sandbox does not have a bottom. Each side of the sandbox will hold approximately 250 pounds of sand. Order this for a Christmas gift or birthday gift. Note: Covers are not waterproof but they keep animals out.